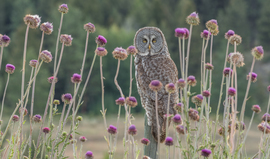 Great grey owl perched on a fence post amongst some pink and purple thistles. Visit Anthony's photography website for more wildlife photos! 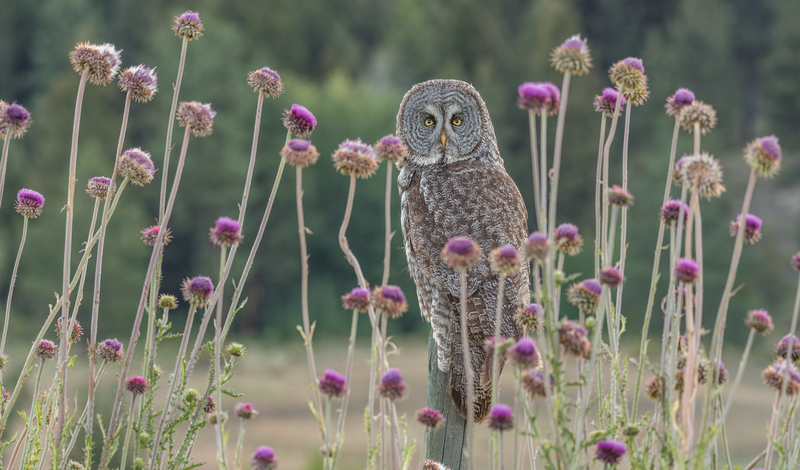 Canadian wildlife photographer from British Columbia, Canada.